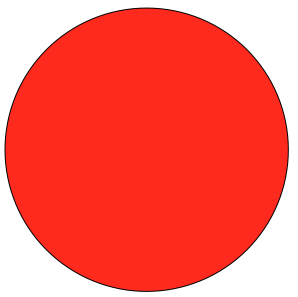 How would you work out the area of a circle like this? You could download this sheet of circles to play around with some ideas. He put a square grid over the circle. He counted 60 squares but then he had to decide what to do when the squares were not completly over the circle. Fran used smaller squares than Raj. 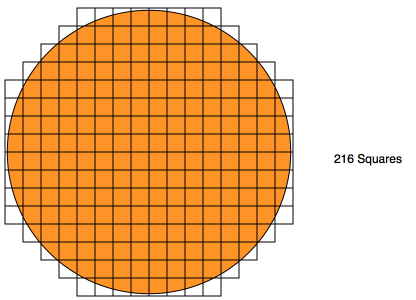 She used 216 but she noticed that some of the squares overlapped the circle at the edge. She made a square that just fits inside the circle and a larger one that just enclosed the circle. She worked out the area of each square and then took the average. 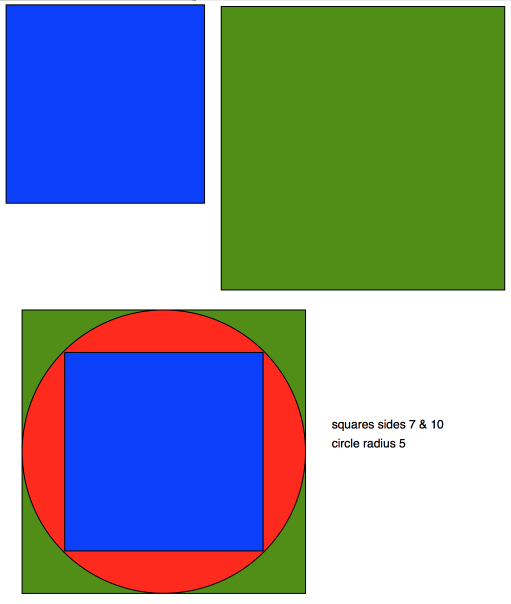 What do you think about each of these four ways of finding the area of a circle? Which do you think is 'best' and why? Do let us know about any other methods that you devise too. 2D shapes and their properties. 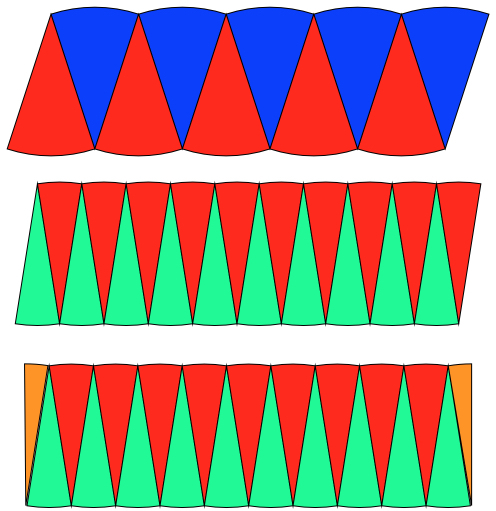 Regular polygons and circles. Investigations. Interactivities. Angle properties of polygons. Triangles. Visualising. Logo. Practical Activity. 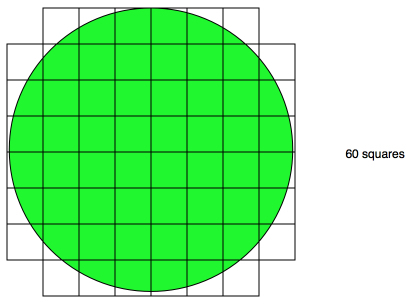 Area - circles, sectors and segments.